Kolkata: She is just 22, but her moves are not that of a novice when on the mat. And guess what? She was bought for a whopping Rs 36,00,000 by her team Jaipur Ninja for the ongoing Pro Wrestling League 2017 championship. 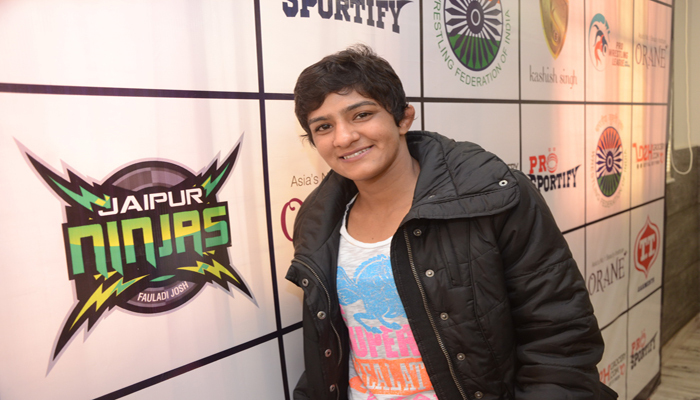 In fact that makes her the most expensive Indian wrester at the League. Well, we are talking about Ritu Phogat, the third of the Phogat sisters. Ritu Phogat is carving a name for herself. In an interaction with eNewsroom the latest Phogat on the wrestling match opens up about wrestling, women and much more. eN: What is it like to be one of the Phogat sisters? Ritu: Well, to be honest, I have never thought along this line. But yes, being a Phogat, undoubtedly puts a great deal of pressure on me to perform. As, I have a legacy to follow. Not that I mind, but then also, at times the comparison does become a bit taxing. eN: Of the two, whom do you admire the most – Geeta or Babita? eN: Why are all of you sisters in so much of an awe of your dad, even now? Ritu: Well, that’s because whatever we are it’s because of him and his vision of making us do the unimaginable. Also, I must add, papa is really strict, even today. In fact, I am yet to come across a coach who is as strict as him. eN: Coming back to the League, the fact that you are the highest paid woman wrestler in this league, does that add on to your pressure? Ritu: Well, yes to a certain extent. The fact that bought me at this high a price means that they have tremendous faith in me. Hence, I will definitely give in my best to my team and I am very hopeful that Jaipur Ninja’s will win. eN: Rajasthan and Haryana are neighbouring states and when it comes to women, they both don’t have that good an image. Your take? 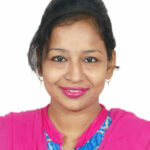 Ritu: Time is changing and today, women are capable of doing anything. Look at us, we sisters have made a name in a game that till date is considered to be a male bastion. But then things are changing. People need to understand that daughters as good as sons and they should give their daughters a chance just like our papa gave us. eN: What will it be like to fight with your own sisters on the mat? Ritu: We do that daily, and she laughs, hahahaha. But on a serious note, during the league matches I don’t have a single opposite them as I am fighting under the category of 48 Kilo. But yes, if we ever get to fight, it will be interesting and easy as we know each other’s weaknesses too well. eN: What’s a typical day in Ritu Phogat’s life? Ritu: Well, it’s hectic. I have to wake up at four in the morning. Practice for 3 hours and then comeback home and rest. You know what? Papa, till date reaches the ground before us .Again in the evening we practice for a good three hours. My meal is very simple and uninteresting – dal, chawal and curd. In breakfast, till date we get juice and almond shake made by papa. Any day is really hectic, especially in Balali. In fact, when I am in my training camps, I feel more relaxed. Papa is a really tough taskmaster. eN: What plans for Olympics 2020? Ritu: Oh Boy! The training is already on. And it’s getting more difficult with every passing day. Now that Pro Wrestling League is on, Olympics training has taken a back seat. But let this get over… I am training even harder as my dream is to get a Gold in Olympic for India.